The Senate has passed the Food and Drug Administration Reauthorization Act (FDARA), a legislative package that supplements FDA funding by requiring manufactures to pay user fees when submitting medical products for review in exchange for a timely approval process. As we noted in a news brief last month, the law firm of Hyman, Phelps & McNamara P.C. has featured several blogposts on different provisions of 21st Century Cures Act. They will host two free webinars this month to further examine the Act, which will be good opportunities for advocates to learn more and ask questions. The first webinar, to be held on January 12th from 12-1:30pm (EST), will focus on the pharmaceutical and biologics provisions of the Act. The second, to be held on January 18th from 12-1:30 PM (EST), will focus on the device and combination products provisions. You can learn more and register at http://www.fdalawblog.net/fda_law_blog_hyman_phelps/2016/12/21st-century-cures-act-hpm-to-offer-two-complimentary-webinars-on-topics-of-interest.html. The FDA Law Blog, the official blog of the law firm of Hyman, Phelps & McNamara P.C., recently took a closer look at several sections of the Act. For analysis of the provisions related to medicine, click HERE (part 1) and HERE (part 2). Analysis of the provisions related to medical devices can be found HERE and analysis of drug-device combination products (such as a surgical mesh with an antibiotic coating) can be found HERE. We will share any analysis of the potential impact of the 21st Century Cures Act as we find it. NEVER doubt that your voice as a rare disease advocate matters! President Obama just signed the 21st Century Cures Act into law, after it passed both the House and Senate with broad bipartisan support. 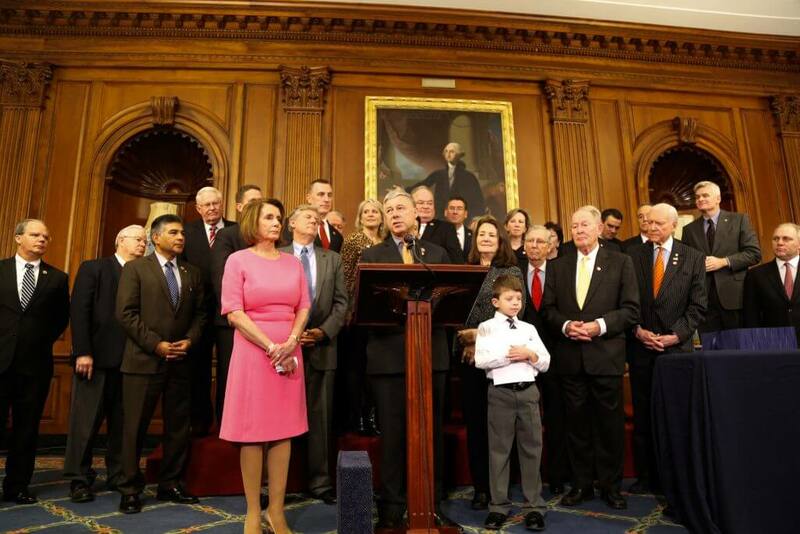 This would not have been possible without advocates from EveryLife Foundation for Rare Diseases, Global Genes, National Organization for Rare Disorders, Inc. (NORD) and many disease-specific organizations who called, emailed and met with Members of Congress in the past year and a half. These provisions and additional funding would boost our nation’s research capacity and help modernize the drug review and approval process at the FDA. WASHINGTON, DC – Following the Senate’s passage of the 21st Century Cures Act on Wednesday by a vote of 94 to 5, the bill was sent today to Speaker Paul Ryan (R-WI) before moving to the White House for the president’s signature. The House passed the game-changing medical innovation bill on November 30, by a vote of 392 to 26. 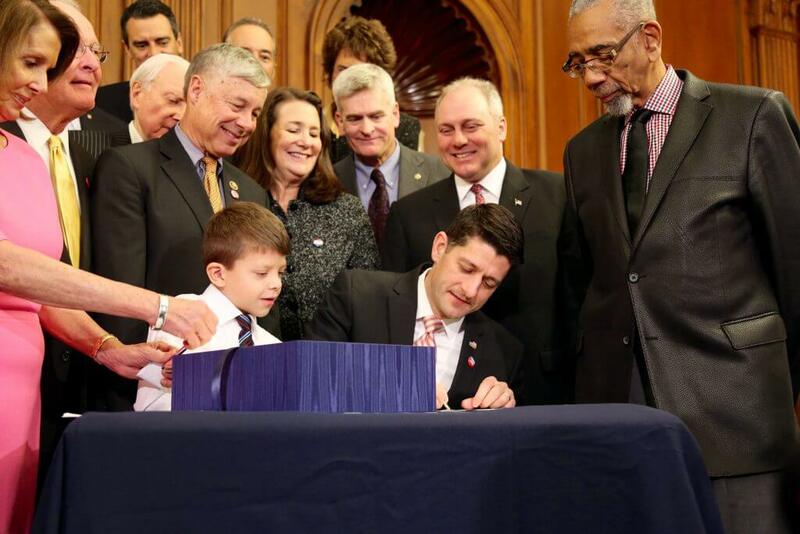 Both Speaker Ryan and Senate Pro Tempore Orrin Hatch (R-UT) officially signed the bill at this morning’s Enrollment Ceremony. With Speaker Ryan’s signature, the bill now heads to the president’s desk. For more information on the 21st Century Cures Act, click HERE. Visit C-SPAN to view the signing ceremony. Taylor’s Tale, a Charlotte-based advocacy group in the fight against Batten disease and other rare diseases, spearheaded new legislation in North Carolina to create a new advisory council housed within the UNC-Chapel Hill School of Medicine to work towards finding more treatments for rare diseases. North Carolina House Bill 823 will establish the council that will give guidance on research, diagnosis, treatment and education related to rare diseases. The council will consist of rare disease advocates including providers, researchers and patients. (Left) Sharon King and Representative Marilyn Avila, who was one of the bill’s main sponsors. RDLA applauds the House for approving the 21st Century Cures Act by a strong, bipartisan vote of 344 to 77. This landmark legislation will spur scientific discovery and bio-medical innovation, providing hope for patients and their families, while also protecting jobs and America’s leadership role in healthcare innovation. Attention now turns to the Senate, and we look forward to working with Senators on their ideas and priorities for creating treatments and cures for rare diseases. We encourage the Senate to move quickly in advancing this legislation through the chamber and to the president’s desk. If you’d like to know more about the contents of the 21st Century Cures Act, click here for our information page on the legislation. From an Aug. 19 Valley Breeze article , Lincoln, Rhode Island: Legislation requiring insurance coverage for special baby formula and prescribed food is now law in Rhode Island.